Hello! 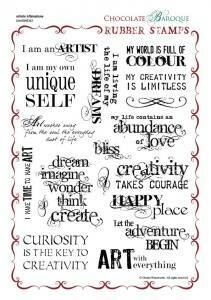 I've got a little reminder for you for the Craft Stamper Take It, Make It Challenge. This month it's pens and pencils. Or markers, gel pens, Copics, you get the idea. For today's card I stamped the card base with the text block from CityGirl using Versafine Smoky Grey, then swooshed Distress Markers (Tumbled Glass, Shabby Shutters and Spun Sugar) over each instance of 'Paris'. On a spare piece of card I stamped the Eiffel Tower cake and sentiment and added colour with the fine tip of Salty Ocean, Mowed Lawn and Pickled Raspberry, then adhered the piece onto the card base with washi tape. Check here for some fabulous inspiration from the rest of the design team. So - fancy your card being featured in Craft Stamper magazine? Guest design spot? Blog profile? Random prize sponsored by Chocolate Baroque? Gotta-be-in-it-to-win-it! This looks awesome :) I am so in love with this set of yours ! You swooshed and stamped your way to a marvelous card! Such a clever idea to highlight only the 'Paris' words! 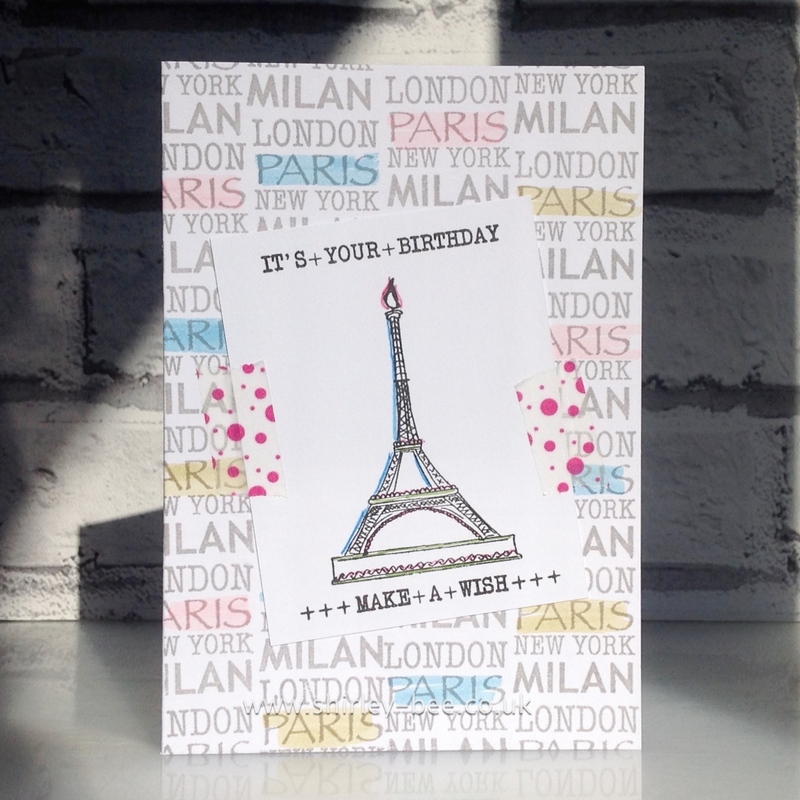 Having been to Paris twice, all I can say is: I LOVE this card! LOVE! !